BOTLEY BAPTIST CHURCH has been at the heart of the community in Botley and North Hinksey since 1882, bringing together families as witnesses of Christian fellowship. In 1967, a new building on the corner of Chapel Way and Westminster Way was commissioned, which has been a great blessing to a growing Church and community. Botley Baptist's focus has been family. Programmes for infants, children, youth, adults and seniors are at the heart of all we do. We host youth groups, cubs, scouts and beavers, special learning programmes, convene Bible studies, fellowship meetings and reach out to the elderly and the disabled. Botley is an attractive, fast-growing suburb of Oxford, appealing to young and old, conveniently accessible to the city, rail links and motorways; a few minutes drive out, leads to idyllic, quintessentially English, countryside. Former Minister, The Revd. Hedley Feast remembers when, “In 2004, as we approached our 125th anniversary as a New Road Church plant in Botley, members wanted the Church to be of greater service to the communities of Botley, North Hinksey, Cumnor and neighbouring areas”. Under the leadership of Graham Ansell and Alan Woodward, Woodfield Brady Architects, working in conjunction with planning consultant Nik Lyzba of JPPC, were given the brief to develop a scheme, “which it is Church-centered and community-focussed, responding to the needs of the local area”, and a planning application for an energy-efficient, multi-purpose, multi-use landmark building was approved by the Vale of White Horse District Council in November 2010. 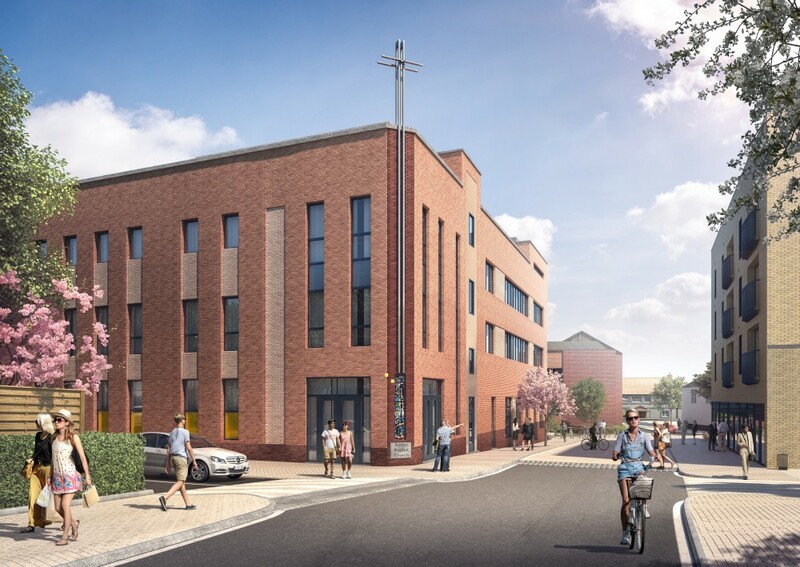 In 2014, we joined MACE, an international consultancy and construction company, and the Vale of White Horse District Council in the redevelopment of the Botley shopping precint, to deliver a new church and community facility which meets the needs of a growing church and a growing community. We have enjoyed an excellent relationship with MACE and officers of the Vale. MACE's landmark mixed development scheme has been well received by many long standing resident of Botley, who look upon it with pride.